Alexander Graham Bell Believed Which Of These To Be His Greatest Invention? When You Lose Weight The Majority Of The Lost Fat Becomes? Alexander Graham Bell is best known for his innovations in the field of telecommunications, and among those innovations, best known for his contributions to the field of telephony. 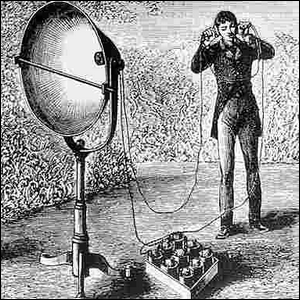 While every school child learns about how Bell invented the telephone—initially called the acoustic telegraph—what most of us don’t learn about in our study units on great American inventors, however, is that Bell and his assistant, Charles Sumner Tainter, jointly invented and tested the precursor to fiber optics, the photophone. In June of 1880, Bell and Tainter transmitted a conversation using only light over a distance of approximately 700 feet (213 meters). This experiment had the same outcome as his earlier experiments with wired telephones but, importantly, it achieved the same transmissions via light-based modulation. Bell, ever the visionary, believed that the invention of the photophone was the single greatest thing he had ever done and, given the critical importance of light-based transmissions via fiber optic networks that make the internet-enabled future we live in possible, we’re inclined to agree. Image by Silvanus P. Thompson/Wikimedia.